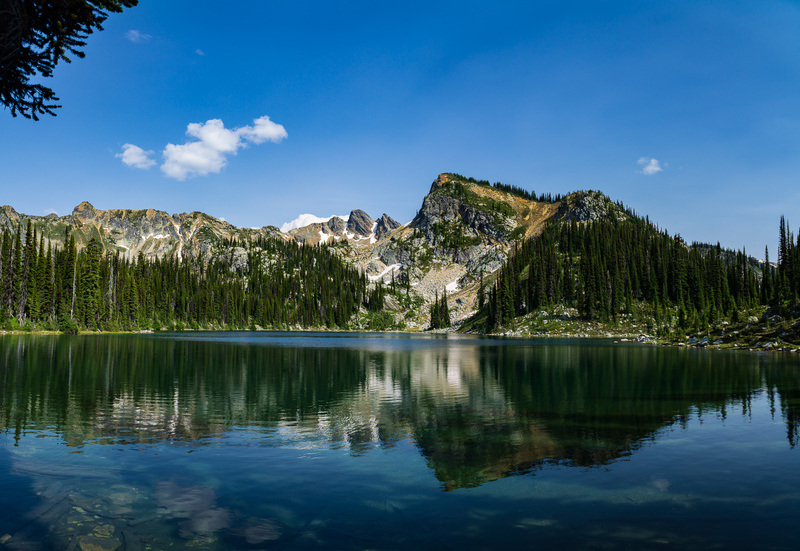 Just one of the panorama’s I shot while up at Eva Lake in Mount Revelstoke National Park, from the west end of the lake looking up at Mt. Williamson. The forest fire smoke wasn’t as bad up there so I was able to get a nice blue sky with some prodding in Lightroom, and then a good 20 minutes removing every single mosquito that just needed to have its photo taken. I can already tell that I will be very familiar with the spot removal tool when I am done with this trips shots.